WHITEHORSE – The Royal Visit to the Yukon has left a lasting impact for students of the Dusk’a Head Start Family Learning Centre, where 29 children received laptops and books from One Laptop per Child (OLPC) Canada, the Prince’s Charities of Canada and TD Bank Group. On Wednesday morning, Dusk’a students met Prince Wiliam and Kate Middleton during a story circle, where Kwalin Dün First Nation elder Lorraine Allen read a book written in the Southern Tutchone language. The book has been produced as part of an initiative of Prince’s Charities Canada (which supports the Canadian charitable work of The Prince of Wales) and its partners SayITFirst, the Yukon Native Languages Centre, the Dusk’a Head Start Learning Centre. 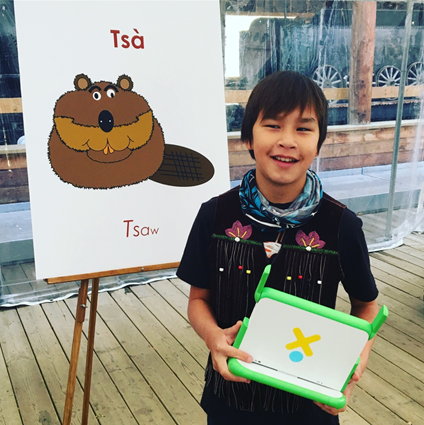 Since launching in 2010, OLPC Canada has provided over 15,000 Indigenous students with educational technology. 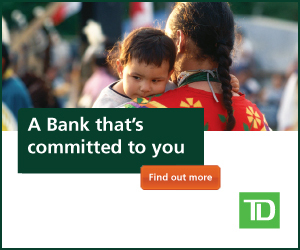 With this donation, the Dusk’a Head Start Family Learning Centre has joined OLPC’s growing network of more than 70 Indigenous education programs nationwide. At present, there are outstanding requests for support from more than 220 communities, representing more than 20,000 Indigenous students from coast to coast to coast. Ross River School in the Yukon Territory is among those who are seeking access to OLPC technology for 60 students ranging from grades 4-12. “The use of technology is greatly needed to enhance student success in school” said Ross River Principal Fran Etzel “Many do not own computers, so the use of technology at home is limited. New digital tools can enhance student learning both at school and home”. Canadian residents can contribute to the campaign for Ross River by visiting www.olpccanada.com.